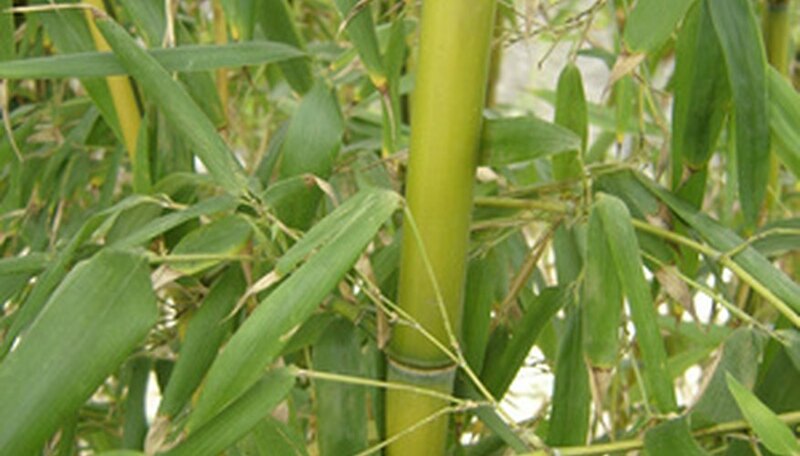 Bamboo is a hearty grass that can be maintained in a garden or kept as a houseplant. But although the plant is strong and has natural anti-microbial properties, it can still develop problems. Brown spots are usually a sign that a bamboo plant is having issues. Brown spots that appear on bamboo plants commonly surface around the leaves. They can also be found on the stalk. Brown spots that appear on bamboo leaves are usually an indication of the plant’s nutrition. They can either be the result of too much direct sunlight, or they can signal that the plant’s water supply is too fluoridated or salty. When spots appear elsewhere, they can represent a more extreme case of pest infestation or infection from funghi or bacteria. The earlier the brown spots are addressed, the more likely the bamboo plant can recover. Minimizing the plant’s exposure to direct sunlight and improving its water supply are usually enough to reverse the development of brown spots on leaves. But when it comes to more serious cases of pest infestation or microbial infection, the plant needs to have a more specialized, aggressive treatment. Apart from providing a bamboo plant with adequate sunlight and water, other things can be done to prevent the development of brown spots. As with any plant, bamboo should be grown in nutrient-rich soil. A healthy soil composition will not only protect roots and facilitate the plant’s growth, but it will also make the bamboo more resistant to pests and other organisms.